Home » Other » KILLALOE STUDENTS SOUTH AFRICA BOUND TO MARK SR. ETHEL’S 30 YEARS IN MISSIONVALE. 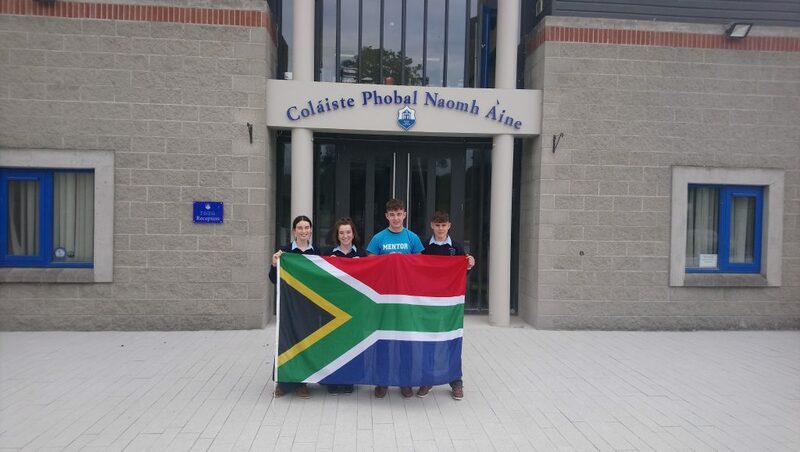 KILLALOE STUDENTS SOUTH AFRICA BOUND TO MARK SR. ETHEL’S 30 YEARS IN MISSIONVALE. Inspired by the work and vision of Sr.Ethel Normoyle who has spent the past 30 years in the Township of Missionvale in Port Elizabeth South Africa, four students from St. Anne’s Community College Killaloe will spend ten days there working and getting to know the people in February 2019 next. 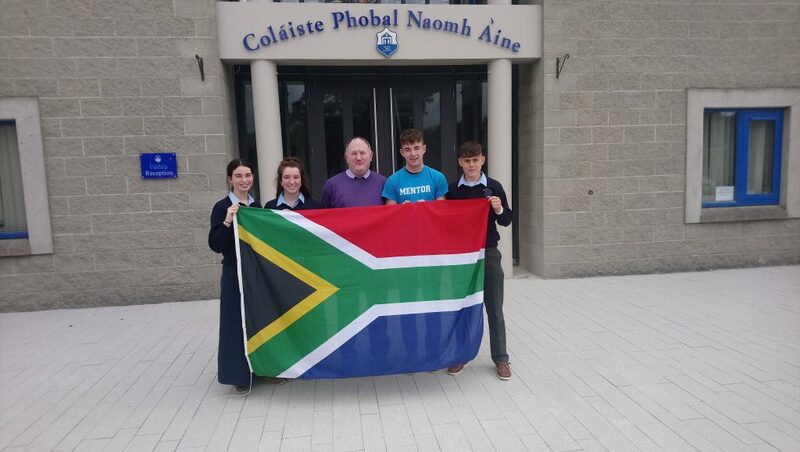 Since 2013, students from the Killaloe academy have been travelling to South Africa on a biannual basis to immerse themselves in the missionary work of Sr. Ethel. To date 10 students have visited the township and on this occasion the four students who are from the Pre-Leaving Cert Year will travel. They have been preparing since their Transition Year to undertake the trip. In order to get there, the students, their teachers, schoolmates and families will embark on a major fundraising drive. On previous occasions a significant aspect of the fundraising was the manner in which the local communities from which the students come dug deep to support them and the work of Sr.Ethel. From North Tipperary to East Clare and further afield local parishes, businesses and community groups were instrumental in enabling the students to raise the funds to travel and also to support the people of the township and their needs. There is now a familiarity and solidarity with the work of Sr.Ethel and Missionvale Ireland in the region and this is evident not only in the financial donations the students who travelled previously received but also in the many donations of supplies like clothing, stationery and other items that were brought to Missionvale to support the people there. The students travelling on this occasion are Alison McGee (Ogonnelloe), James Power (Ballina), Devlin Staunton (Ballina), and Dylan McMahon (Clonlara). Thankful for the opportunity to travel the students are very much aware of the support given to the school in the past and while cognisant of the daily demands on peoples’ finances they are hopeful of the continued support of the community. From 7 a.m. to 5 p.m. each day from February 15th to February 26th inclusive the students and their teachers will assist with mini-construction, horticultural, education, feeding, medical and community visitation projects. In 2017 the students who travelled on that occasion assisted with the erection of a perimeter fence, the planting of 7,500 beetroot plants, and the erection of water conservation tanks, food distribution and community visitations amongst other activities. It was a humbling experience to witness up to 1,000 people a day queueing for food and to witness the impact of HIV/AIDS, TB, High Blood Pressure, Malnutrition, Diabetes and extreme poverty on the daily lives of the people living in the Township. Indeed, the absence of basic facilities in their small homes such as running water and flushing toilets with intermittent electricity supplies and poor sanitary conditions brought home to the students the resilience of the people and the commitment of Sr. Ethel and her co-workers in keeping people alive in Missionvale. Of course, the lasting effect of the relationship between Missionvale and Killaloe is the way in which both communities are brought closer together by the involvement of teachers and students from St. Anne’s Community College. The generosity of the people in East Clare and North Tipperary and the solidarity demonstrated towards the people of Missionvale is an invaluable life lesson for all concerned and something to be extremely proud of. The students travelling on this occasion hope to continue building on the success of these achievements and look forward to encountering people in the community as they undertake their fundraising campaign. L TO R. Alison McGee, Devlin Staunton, Dylan McMahon, James Power.